Lets face it there aren’t too many HTS pipelines that don’t touch a SAM/BAM files somewhere along the way. The name SAM comes from the acronym Sequence Alignment/Map format and they are really nothing more than tab delineated text files describing mapping information for short read data. Of course with the millions of reads generated by next gen sequencers these days the files become really really big. That is where BAM files come in, these contain the same information as SAM files but are encoded in condensed computer readable binary format to save disk space. If you open up a SAM file in a text editor (or use “head” in bash) the first part of the file typically contains lines beginning with AT (@) symbol, which represents the “header”. The header contains general information about the alignment, such as the reference name, reference length, MD5 checksum, the program used for the alignment, etc etc. Every line after the header represents a single read, with 11 mandatory tab separated fields of information. Lets see how this works with a really simple example. 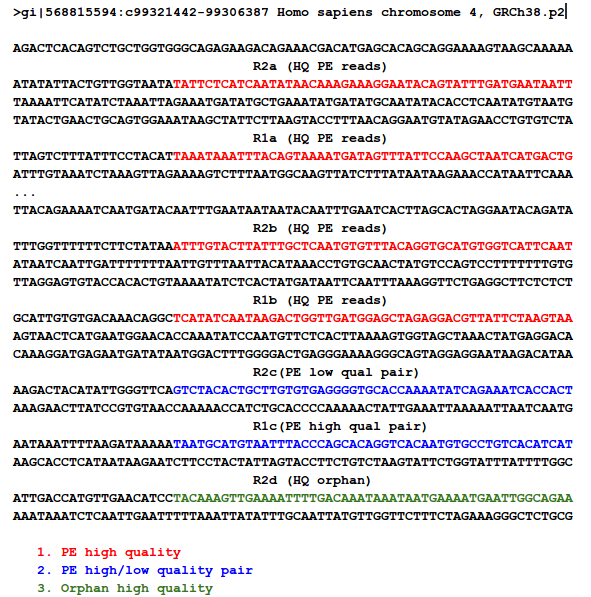 What I’ve done is mapped four ‘pairs’ of reads to the alcohol dehydrogenase gene (my favourite gene) using bowtie2. The figures below shows the stranded nature of the read pairs as well as where they map on the gene. I have set this up so that the reads fall into these three groupings. The next figure describes each of the mapping scenario’s using the colour encoding. The red set of reads behave as we would expect for paired end data. For the alignment I’m going to use bowtie2, all of the sequences are here if you want to do this yourself. The “adh.sam” file can be opened with any text editor, but for most of this post I’m going to use the spreadsheet version just to easily work with all the columns. Note the header lines indicated with the “@”. In this case the @SQ relates to the reference and @PG relates to the program parameters. Each header line has fields in the format tag:value. For example, the @SQ line has SN (SN=reference sequence name) and LN (LN=reference sequence length). A full set of these header can be found in the SAM specs. Below the header each read is represented by a line, it is worth nothing that even read “62296/1” which shouldn’t map since it is only 1 nt long also gets a line. Two other things to note are that firstly the reads can be ordered by reference coordinate, this is the default Tophat behaviour. Alternatively, they can be listed in pairs. 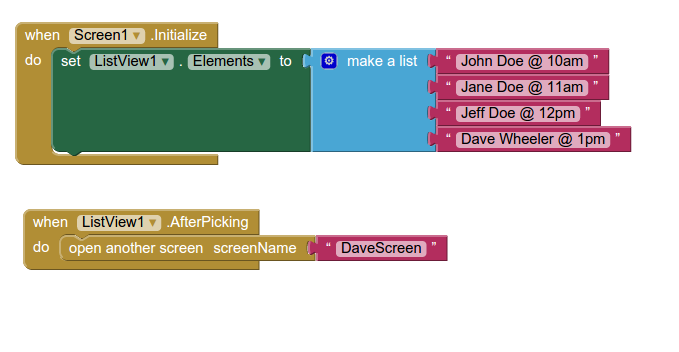 Samtools can be used to switch between formats using the “sort” command and why does this matter? Some software needs to know how the reads are sorted, for example htseq-count expects reads ordered in pairs because read pairs can map different distances away from each other and finding them in the file increases memory requirements. OK the fist four column. The QNAME (seq name) and RNAME (reference name) are pretty self explanatory. The FLAG uses information dense bit-wise encoding containing information on the alignment, such as the strand, if the pair mapped, if this if the first or second pair. If your dumb like me you’ll be thankful for the Broads has a nifty website that translates these numbers into plain English. For example, the 83 represents “read paired”, “read mapped in proper pair”, “read reverse strand”, “first in pair”. The 163 is “read paired”, “read mapped in proper pair”, “mate reverse strand” and “second in pair”. I think that makes sense. For reference the other two numbers are 137 (read paired, mate unmapped) and 69 indicating an unmapped read pair. Very cool. The final flag here POS corresponds to the alignment coordinates. We can confirm the reads are ordered R1 then R2 based on the mapping coordinates (see the figure at the top of the page). The next flags worth looking at are the MAPQ and CIGAR strings. 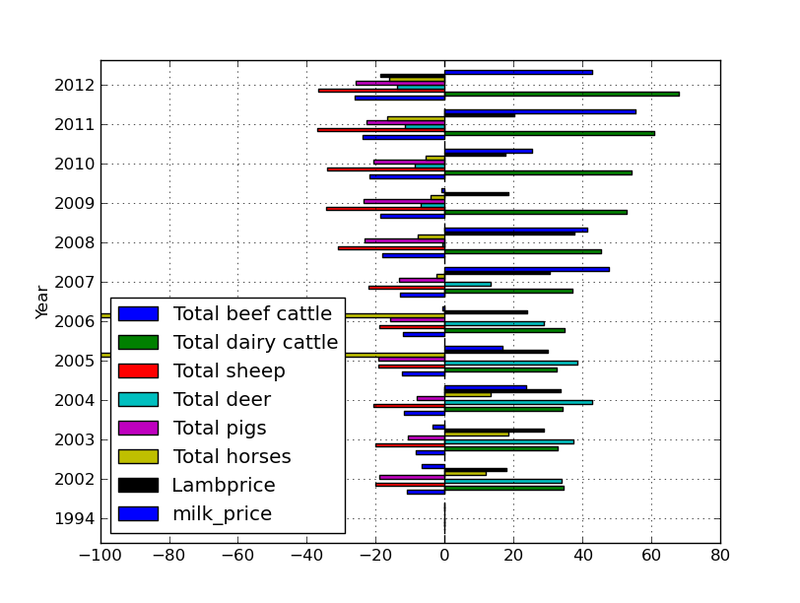 The mapping quality is represented as a log transformed probability of mapping to the wrong position. Interestingly, the low quality (fastq quality “$”) has the same mapping score as the other high quality reads. I gather this is because the read really can only go one place when there is a 100% match and the reference is only short like this. The CIGAR string starts with a letter, in this case “M” for “alignment match” and 50 indicating the length of the alignment. The “*” indicates that no information is available. PNEXT is the position of the mate pair and TLEN is the observed template length, in other words the length of the sequenced fragment represented by the pairs. Finally, we have sets of tags that provide other information on the alignment. Things like the number of ambiguous bases or gaps etc. Checkout the documentation of your aligner to find out what each tag defines if you are interested. 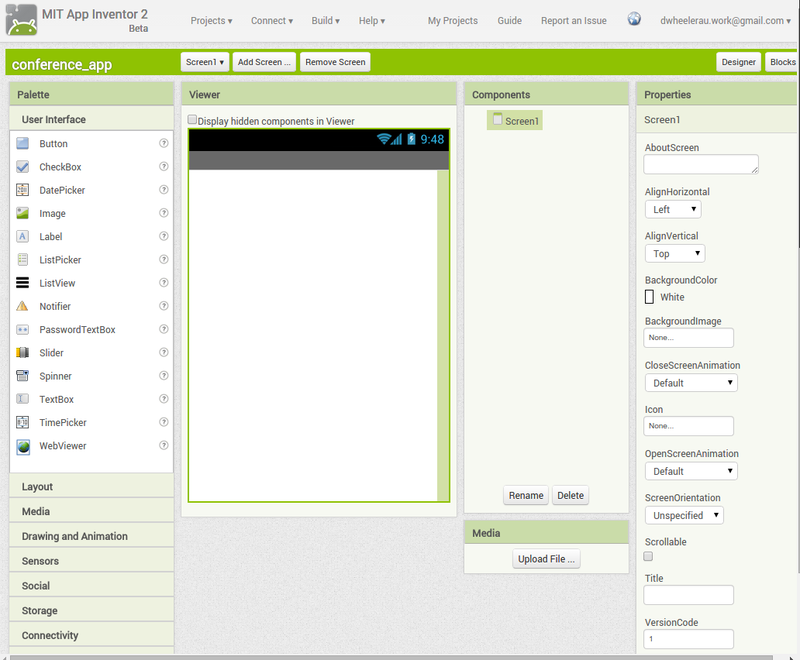 The App Inventor 2 (AI2) is a really cool bit of software from Google and [now] MIT. It contains two GUI tools to make creating Android apps a “relatively” easy task. The first tool is a designer that helps create your screen layouts, pretty much like the layout designers that come with the Android SDK. 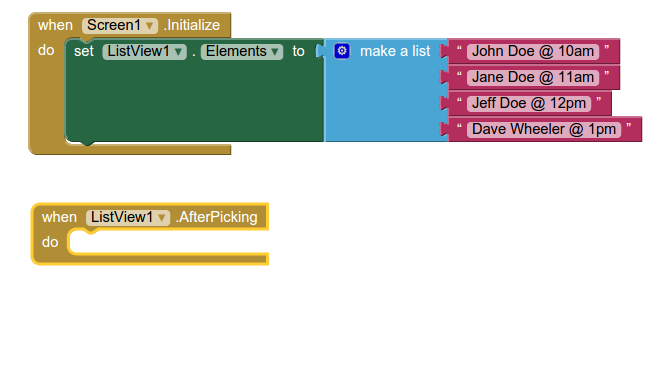 The really cool and unique part is the “blocks” designer, which helps you create code by moving object blocks around (rather than typing java). These GUI’s dramatically speed up development, whilst also providing an excellent framework to teach people how to code in a fun and accessible way (ie no language syntax). 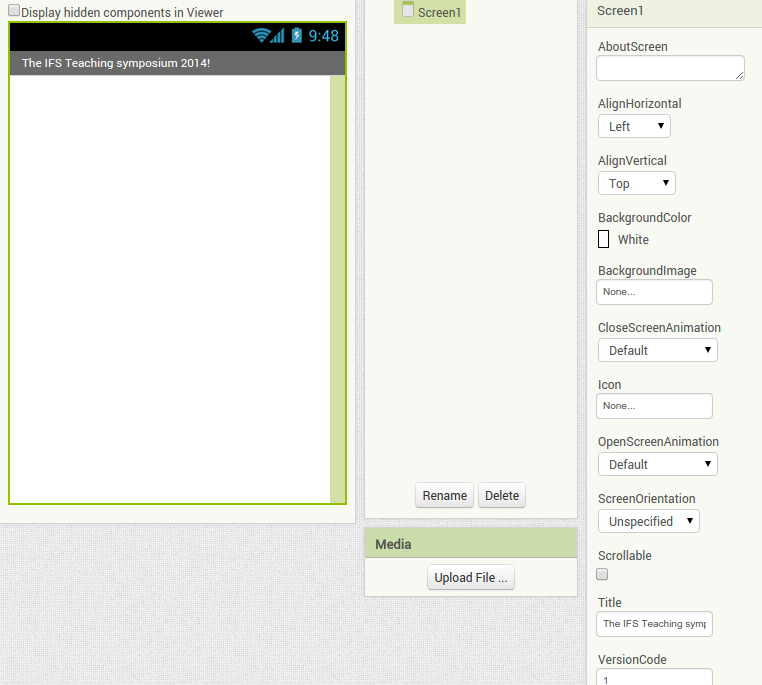 The following quick run through of a very simple conference app that I’m using for a demo at our teaching symposium. The goal is to do this demo in 10 min, so really this is bare-bones stuff! If you want more I highly recommend the book App Inventor, edition 2, which covers AI2 in much more detail through a series of fun (and useful) projects. Its worth pointing out now that AI2 has some additional cool features. Firstly, its all on the cloud so you don’t need any software except chrome or firefox (ha ha IE is NOT supported). Secondly, if you are on WIFI, by installing a simple application on your phone you can test the app instantly by scanning a QT code from the computer screen. If you have ever created an app with eclipse and used the emulator for testing you will be delighted by how much simpler and quicker this process is, its super cool – really! 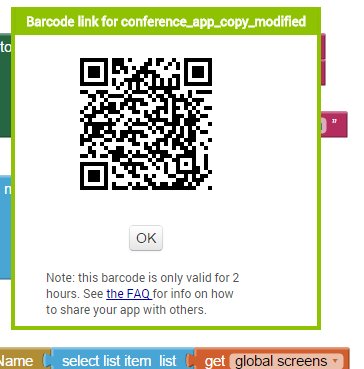 The conference app is just a listview of names and session times that are clickable. 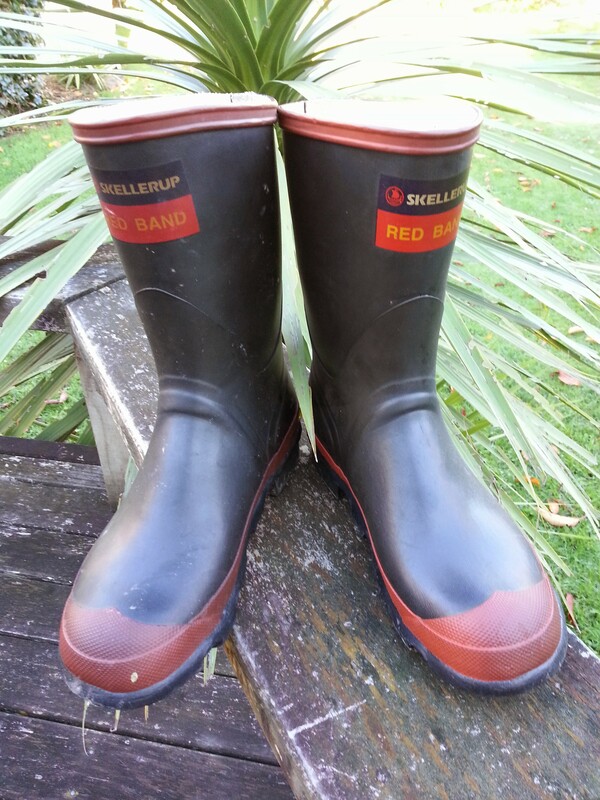 If a item is selected a photo and brief bio pops up for that session. No fancy formatting at this stage, anyway. The first screen will recommend you install some additional applications to allow easy testing on your phone. By far the simplest is to choose option one, as long as you are sharing a wifi network with your computer and phone. For the rest of this guide I’ll assume this is how you will test your app. After a few seconds the designer window will appear. 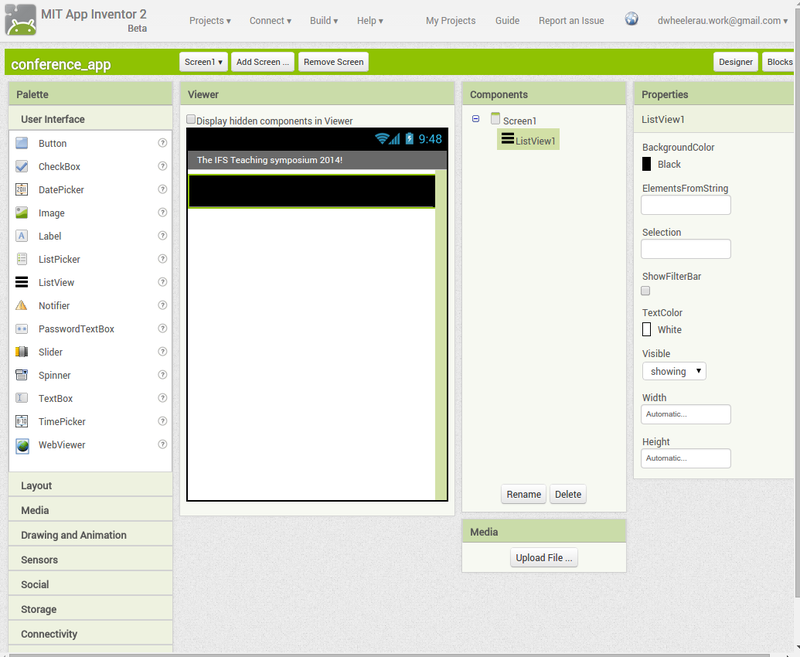 The designer page allows you to layout all of the elements your require for your app. The left hand “palette” contains elements for layout as well as user interaction widgets. These elements can be dragged onto the middle view pain or alternatively if they are a invisible element (a database for example) to the bottom of the viewer screen. The “components” pane allows you to customise each element and finally the properties pane lets you modify size, layout, and text aspects. Just to to see how simple things can get, lets give a more informative title. All we need to do is change the “title text” in the property pane. Ok the meat and potatoes of the app, the listview will be populated with speaker names and times that are clickable. 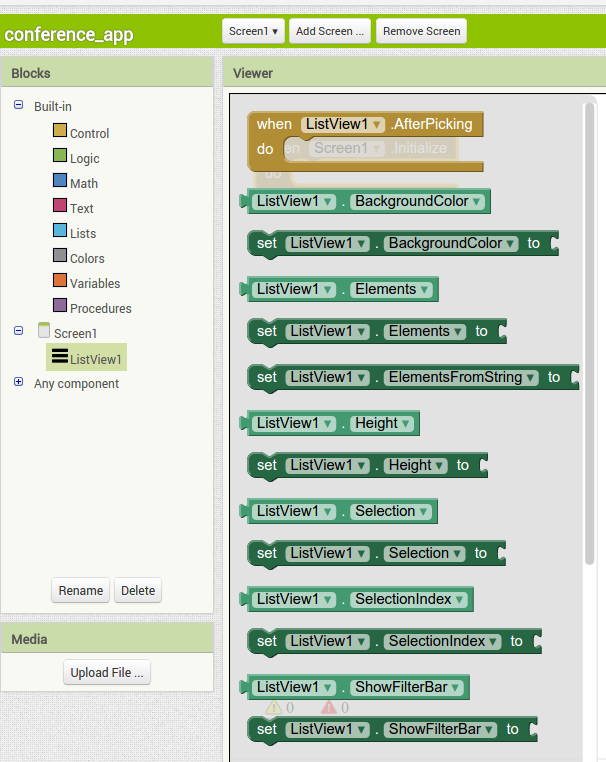 Just drag the listview icon from the palette window to the viewer. We can now adjust the listview properties, such as the width and height so that this element fills the available screen space. Now the nuts and bolts (and the cool part). We have to populate our listview with the speaker names when the app is opened, as well as specify some behaviour when the user clicks on the element in the listview. 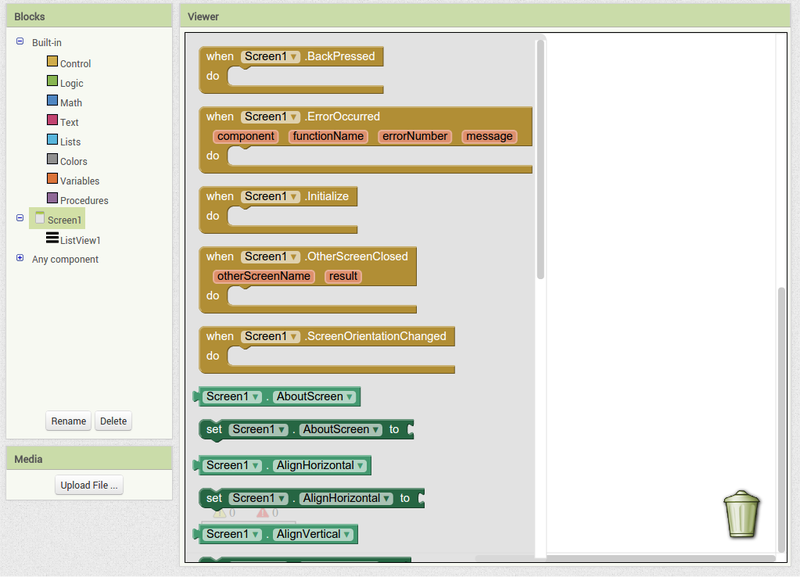 For this work we will need to use the code blocks on the left hand side of the “blocks” screen. Clicking on the “Screen1” icon will bring up all the blocks associated with this choice. We want to drag the “when screen initializes” block to the work area. This “block” of code will execute when the app opens. Notice the gap in the middle, this is where we place the “do” part. In this case what we want to “do” is populate the listview with text for the speaker names. 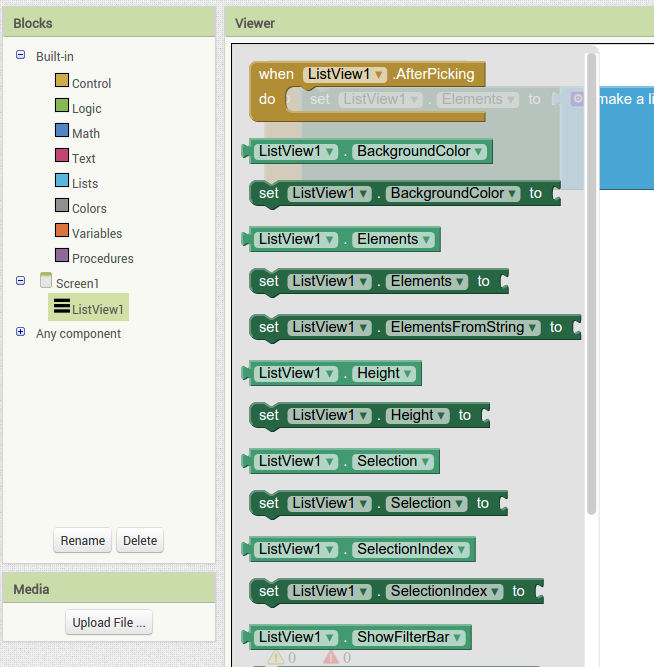 To do this we click on the listview block and select the “listview elements” block, notice how this block will fit nicely inside the previous block. Notice also that the open jigsaw like parts at the end of this new block, this is where we add our new list that will hold the speaker string elements. I hope you notice this “feels” like coding nix with objects all the typing. Clicking on the list block allows us to make a new list, we click this into our listview and now we populate the list with items that will be displayed. So it should look like this (below). The little blue gear lets us increase the number of spots for elements to populate our list. For this app we will have four speakers for this section, so just drag the item block into the right “list block” twice to create two more spaces. To actually populate the list we need some text. So we grab the empty text fields and drag them to the open slots on the list. By typing between the quotes we can add our custom text. By right clicking on this first text element we can duplicate it for the remaining 3 spaces (or we could just drag 3 more empty elements across). We modify each element to be a speaker name. 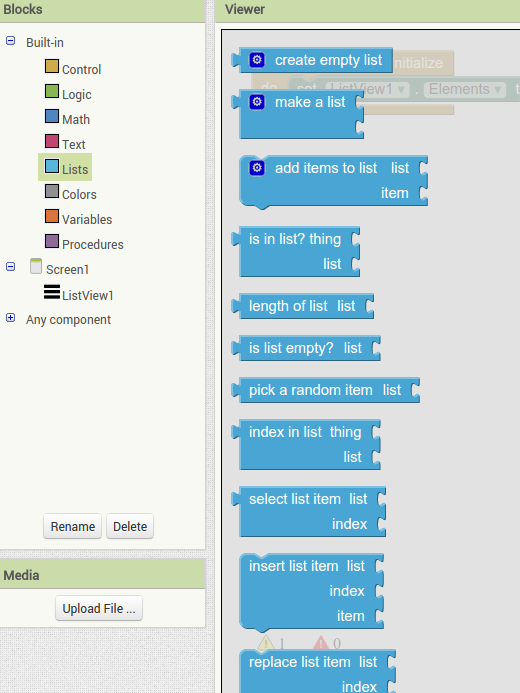 Ok, now when the app opens the listview will be populated by string elements found in the list. Next we need to specify some behaviour when the user clicks on the speakers name. At this stage our basic app should be “working”, as in the listview should display, although nothing will happen when we click on each item. Now this is where the simple testing functions of AI2 come to the fore. Just click on the build and then “provide QR code for apk”. 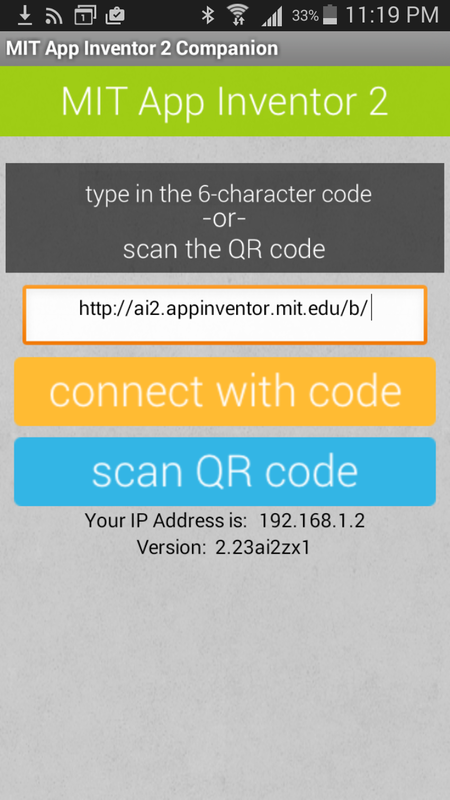 Once the QR code pops up just open up the App inventor 2 companion app and scan the code, its bloody brilliant! Now we create an action once an element (speaker) in the list is selected by the user. As this is a listview action we click back on the listview icon and grab the “afterPicking” block; thats logical don’t you think? One thing you might notice about these blocks, if you have coded before, is that they are very much like a normal object that we would specify using code syntax, its just its GUI based. Our after picking behaviour will be opening a new screen that contains a photo of the speaker and a brief bio. So we need to setup a new screen to contain this new information. I’m being really lazy here and I’m just going to hard wire the page so that only one of the listview items actually works as expected (mine of course). However, in real life you would setup some logic that would ask for the index item that was clicked, and use this to send the user to the correct screen. So we have setup the method to open the new screen (above), now we need the screen. We’ll create the “DaveScreen” (as specified by another purple text element block ) that will contain my mock bio and a great photo. To do this just click the “add screen” button at the top of the screen and re-name it. Back in the designer we can populate this new screen with a photo and some text, using a vertical alignment is simple just drag it onto the window and specify its attributes in the right hand panel. 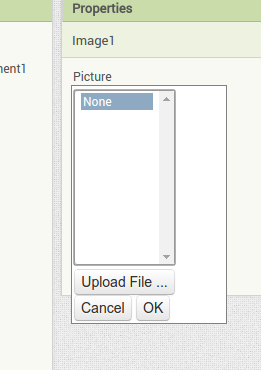 Now Drag an image icon onto the panel and then by clicking on “image1” in the components plane we can upload an image and resize it using the properties. You really can’t get much easier than that really, can you! 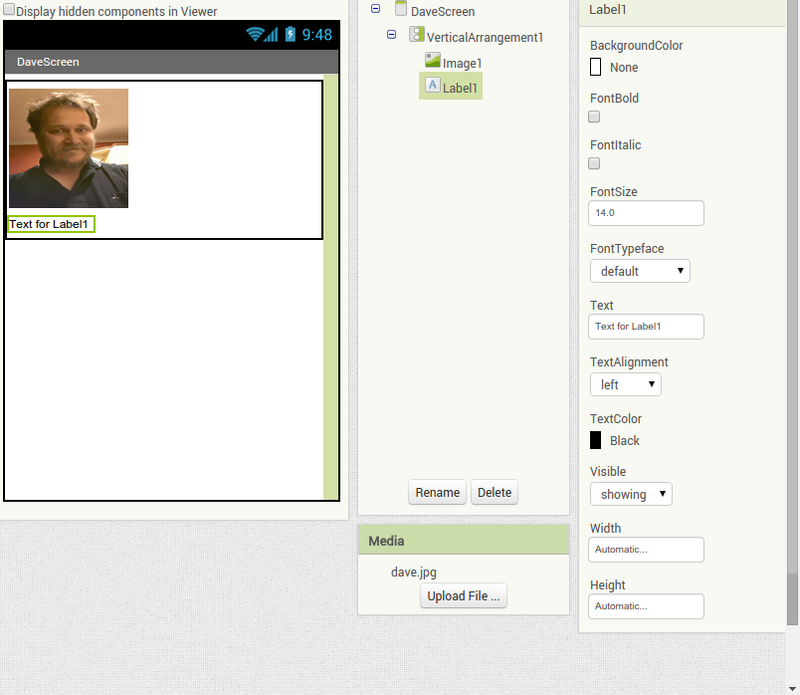 Wow, what a good looking bloke, finally, we create a label and populate it with text in the blocks screen. We could do this in the properties section of the designer page, but since I’m feeling guilty for hard coding the list view, I thought I would use the blocks to set the text. Thats it. The app should provide a list of speakers, and when you click on my name (any name actually due to the hard wireing) the new page should open with my bio and a photo. You can download the files associated with the app from here. These include the APK’s that can be installed on any android phone as well as the *aia files that can be imported into AI2 if you want to play with the code. I’ve included a slightly improved (although still broken) version that replaces the hard-wired listview actions with a call to specific speaker pages (that don’t exist but could be easily made based on the above information). Installing Arch is incredibly satisfying (maybe thats code for frustrating) as it really does introduce you to the flexibility offered by the modular nature of Linux. And with virtualisation software like virtualbox, we don’t have to worry about turning our computer into a fancy doorstop while we madly google a solution to that frozen black screen. 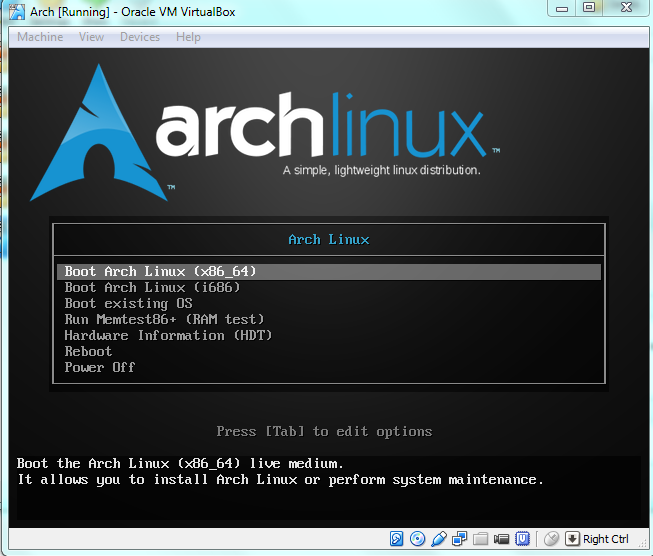 With the excellent Arch beginners guide installation wiki things really are not that difficult, however, there certainly are some got-yas (hair pulling), especially when installing inside a VM. Hopefully this step by step guide will help someone out. Step 1. Download the latest Arch ISO, remember to use a torrent to save the arch servers bandwidth (and its a good FU to the MPAA). Step 2. While you’re waiting, lets setup the VM. 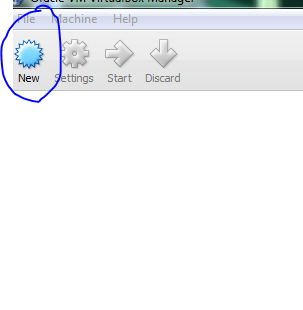 Open up virtualbox and click on ‘new’. 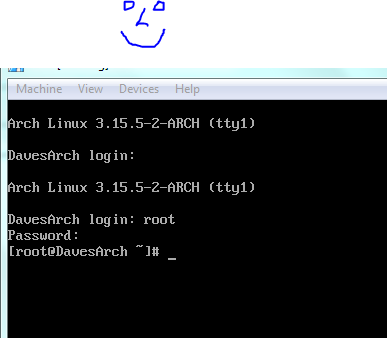 Typing Arch into the name box should populate the other options. Set the memory to something sensible (1gb), remember you need to save some for the host, so stay away from the red section of the sliding bar. 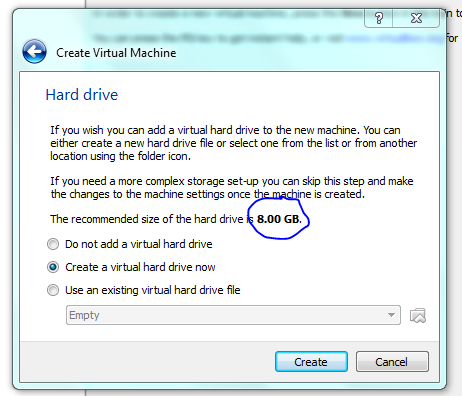 We want to create a virtual hard drive now (the 8gb default is probably a little too frugal). 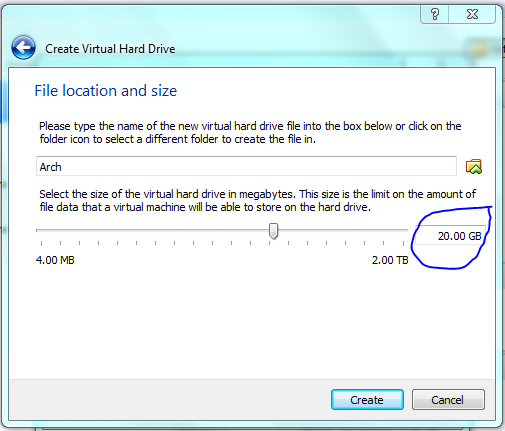 Select the top option on the next screen (VDI) then allow it to be dynamically allocated. Even though the drive will dynamically allocate space, we need to set the maximum size, at 8gb (the default on my machine) we will probably run out of space pretty quickly in real world desktop use. So lets make it something sensible. An alternative would be to do a minimum base install and then hook-up a shared folder to the host and keep data there (more on that latter). 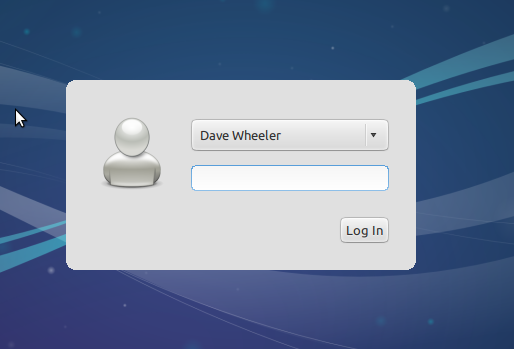 Press “Create” and now we can setup the options on our new virtual machine. On the [general][advanced] tab setup bi-directional clipboard and file sharing. Also tick the “show top of screen” or you’ll get driven crazy by the dropup menu destroying your life! 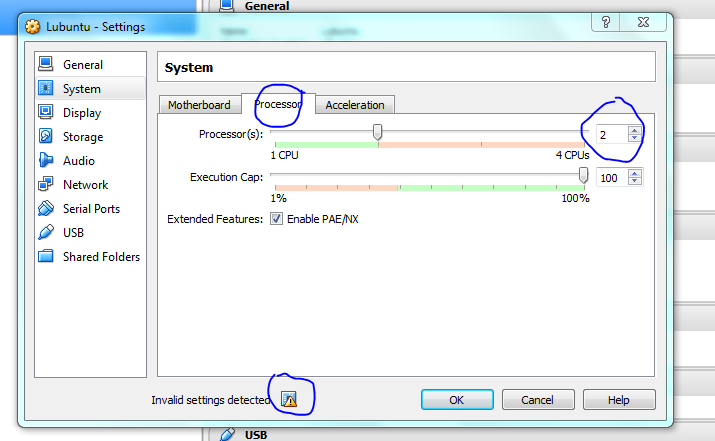 On the system setting change the processors to suite your system. 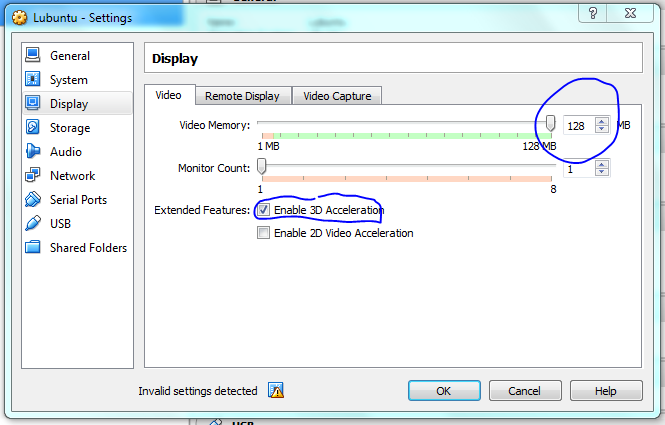 Display setting, might as well enable 3D. 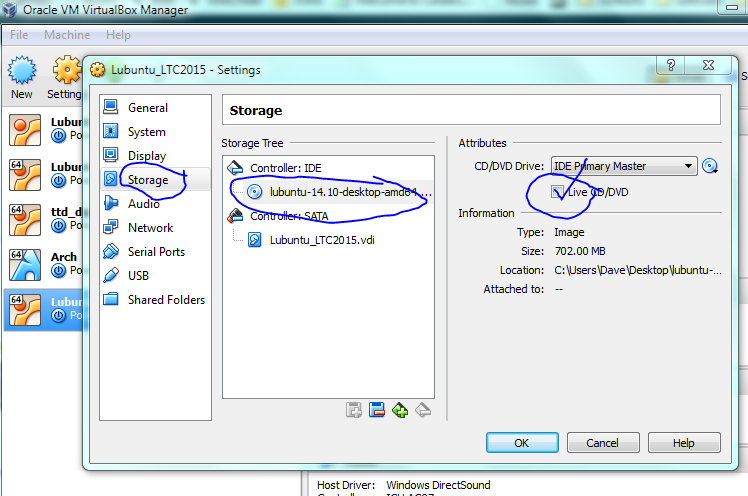 Now for the storage settings we can virtually stick our downloaded ISO into a imaginary CD-drive. 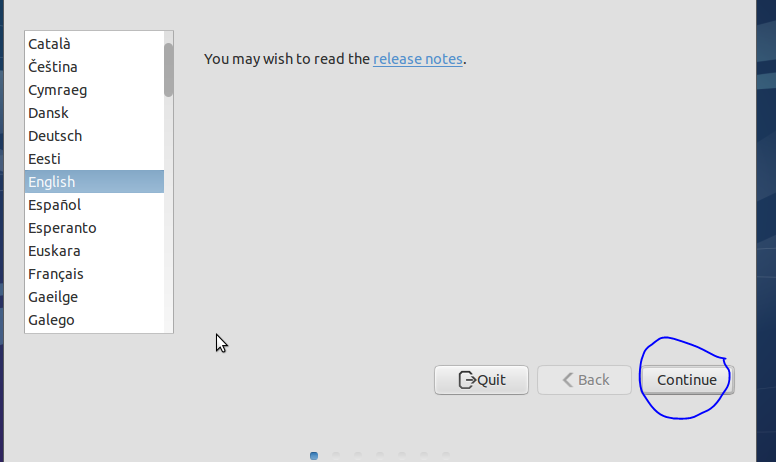 Click the ‘add CD’ button and point the file option to your freshly downloaded Arch ISO. The will allow the VM to boot from the ISO rather than; well nothing! Finally, lets setup a shared folder with the host. 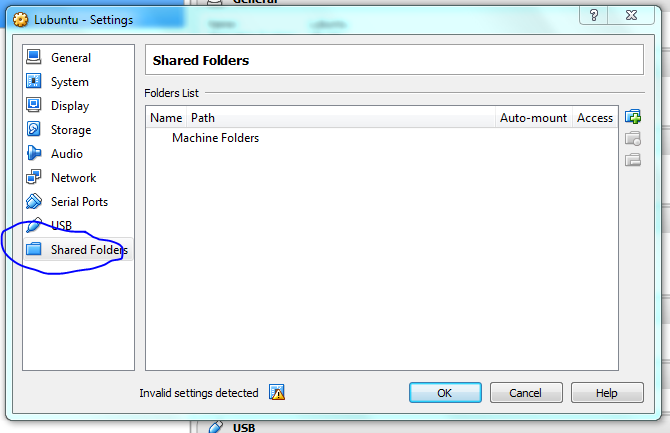 Select the folder path and click the auto-mount check box. Now we are ready. Click “start” and we should get a boot screen, press enter (boot into Arch) and after a few seconds we should have a flashing cursor. Bingo! Now I’m pretty much following along with the beginners guide. Step 3 – Terminal action! 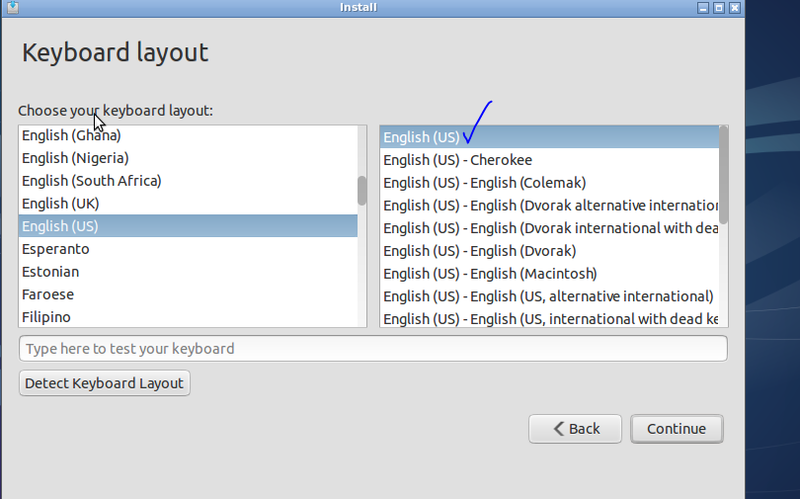 Firstly, I’m assuming you are using a standard keyboard layout (if not follow the guide). Secondly, lets check that the internet is working. A great thing about using a VM is that we don’t have to fiddle with wireless (it can be a pain) as the host just provides the link as if it was wired (remember for this to work the host must be connected to the internet). Lets check by pinging google, the “-c 3” flag just says to do it three times, if you forget it just [ctl][c] to kill ping. If you get a path not found error, check the host connection (then check the beginners guide if that doesn’t work)! Otherwise you’ll exchange some packets with google to verify everything is working dandy. Now we use the “lsblk” command to check the name of the disk we are going to partition, in my case its “sda” (this is important), note I can tell that because its 20Gb big (remember we set that before). So assuming your drive is sda we’ll use fdisk to make our new partitions. fdisk will present us with some options. **NOTE** if at any time you want to back out just hit “q”! Here I’m setting “n” for new partition table, “p” for primary, “1” for 1st partition, then accept the default for the start sector, finally “+10G” (this is all one word, it just slipped over the screen on the screenshot) to specify that we want this first partition to take up half our drive, we could probably make this less ( “+6G”?) if you wanted more space for the home. Now the home partition. Same as before really, but this time we specify “2” for the second partition and accept the defaults for start and end sectors to take up the remainder of the drive. 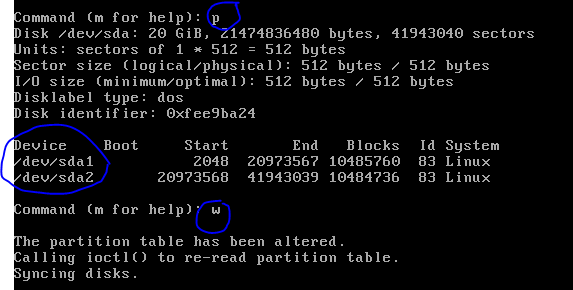 Now we can preview our new partitions with “p” and if we are happy write the table “w”, note that the partitions are called “/dev/sda1” and “/dev/sda2”, make note of this for latter. 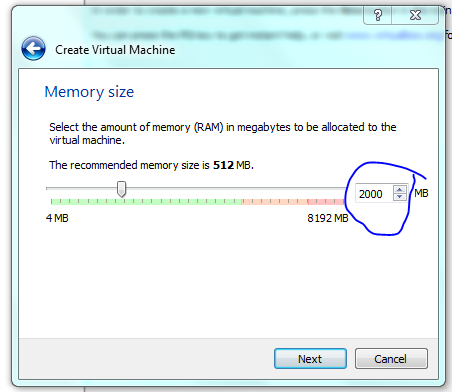 I’ve got plenty of RAM so I’m not going to worry about a swap partition (-:. Next we format our new partitions as ext4 and then create a mount point for root and then mount a home directory on the other partition (remember to change sdx depending on your information above). Finally lets install the base system. Accepted the defaults and “y” to install. Take note of some of the things that are being installed here, it really is the base system (ie base programs like “which” etc, all those little bash utilities you just take for granted). Now we organise the boot partition. This is what my boot table looks like (the $ signs at the end mean that there is more text outside the screen view, if you scroll to the right you should see the numbers 1 for the “/” partition and 2 for the “/home” partition. Now its time to setup the base system ie set locale and make the internet persistent. For this we will be entering change root, which is a special environment (read about it here). Then we will change to files that contain information on our location and character set, the guide suggest we stick to UTF-8. 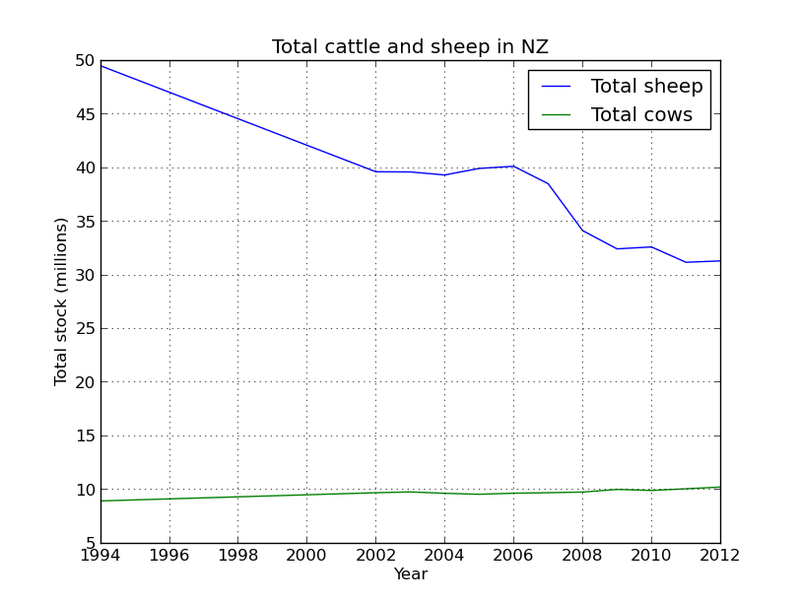 In my case I’m in New Zealand, so I’ll uncomment that line in the file (note you can search in nano by using [ctl][w]) set that (note we only have one time zone in NZ). You can enable multiple languages here by uncommenting them, this would be handy if you are working on a system with multiple users, or you like to curse in foreign languages! Save this file with [ctl][o] and [ctl][x], then run the following to generate the locale, it should report your chosen setting. Now that we have enabled the language we need to set the system wide settings in a new file called /etc/locale.conf that contains our chosen default system setting. In my case the command would be below, but if you were in the USA you probably use “echo LANG=en_US.UTF-8 > /etc/locale.conf”. All we are doing is echo’ing some text to a new file. Then we just export that setting (substitute your lacale). The timezone and subzone files are in a folder called “/usr/share/zoneinfo/Zone/SubZone”, with “Zone” and “SubZone” being replaced by your region. For example, if you lived in Rochester NY (eastern US time), the folder you would point to would be called “/usr/share/zoneinfo/US/Eastern”. You can see below how I use “ls” to list the directories, then I create a simlink that to “/etc/localtime” (remember you probably have regions so your directory path will be one longer (as shown for the Rochester NY example). Now we set the clock to UTC (Coordinated Universal time). Then set our hostname (that will be seen on a network) to whatever we like (oneword). First we create a file called “/etc/hostname” containing the name, then we use nano to edit as second file (as shown), note the “DavesArch is a [tab] from the “hostname” string on that line (the one starting with 127.0.0.1). We are nearly there! Lets setup the network, before configuring grub and setting a root password. For the network we will use netctl. We can copy an example file from “/etc/netctl/examples” to a new filename “/etc/netctl/my_network”; the one to use is pretty obvious since we have a virtual wired connection via our host. Next we edit this file, replacing the “Interface=eth0” line shown by the “ip a” command (see below). Now just use nano to edit the file we just created and replace “eth0” with our interface (in my case “enp0s3”) from the ip a output. 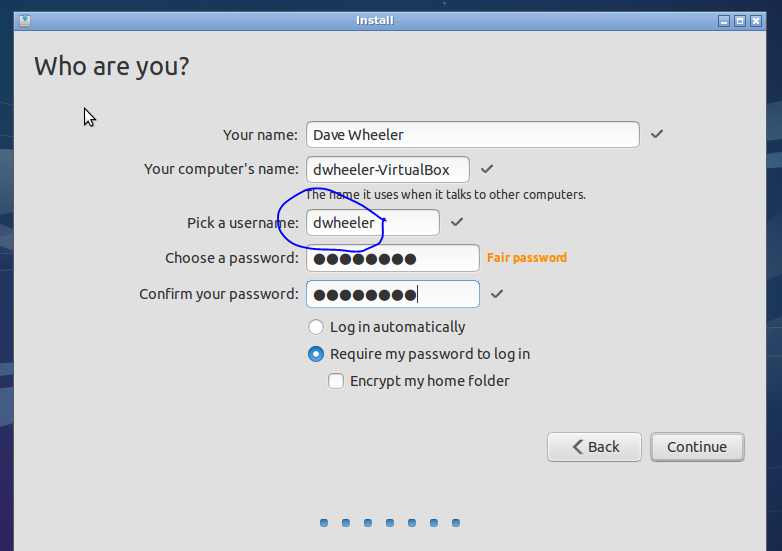 We will quickly set a root password, make it hard to guess and easy to remember (ha ha). Now to setup the grub bootloader. We use shutdown here so that we can eject the virtual ISO before we reboot, otherwise we will be back to where we started. 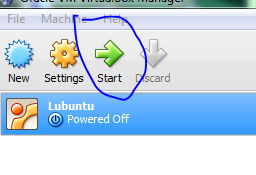 Once our ISO is removed we can hit the start button again on Virtualbox, and fingers crossed we’ll boot into arch! What now? Unless you are a terminal jedi we’re going to have to install some GUI tools. For me this was the most challenging part of the install especially with the added complication of working with a VM. Since we are already up to 1600 words I think I might take a break, but to get your desktop GUI up and running click here! If you haven’t tried Linux then you are really missing out. Although I run windows in a virtual machine, I’m working my way to weaning myself of that dark beast (my colleagues doing the same would certainly hasten the split). Although I use Xubuntu on my work machine, Lubuntu is another favourite of mine due to its small footprint and minimalist approach. Both are great because they don’t have that abomination that is Unity now shipping with Ubuntu. For a python class that I am developing I wanted to put together a how-to install Lubuntu in a virtual machine using virtual box. 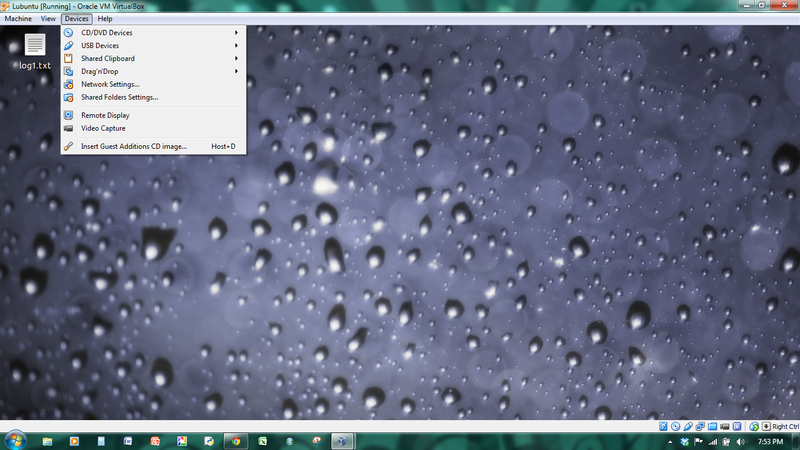 At work I use vmware workstation to run windows as a vm and it works pretty well. However, I had trouble using the free player, mostly due our wonderful proxy creating problems with the download and install of vmware tools (there were display problems too for some reason)! 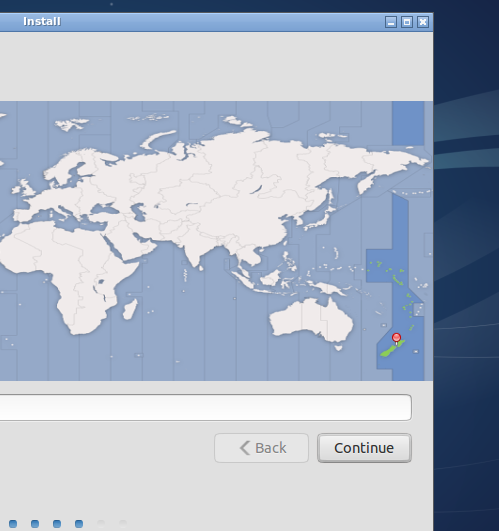 Anyway, long story short I settled on virtual box (dam you Oracle for stealing our Americas cup). In this example I’m installing a linux vm on a windows 7 host. 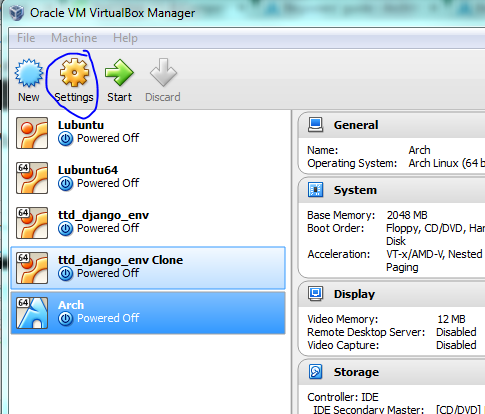 Get virtual box from here and install it on your host system. 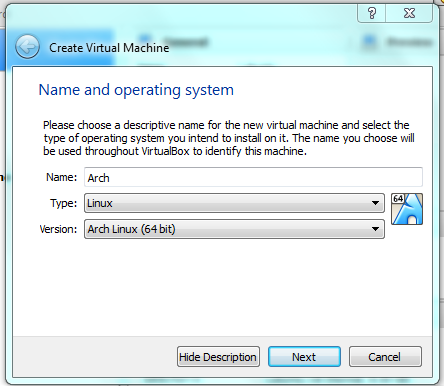 Set-up your new virtual machine by starting virtual box. First set up the name and the OS type. 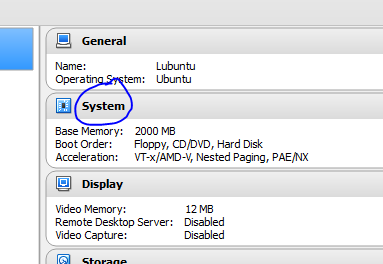 The name can be anything, but best call it “lubuntu” (no quotes). 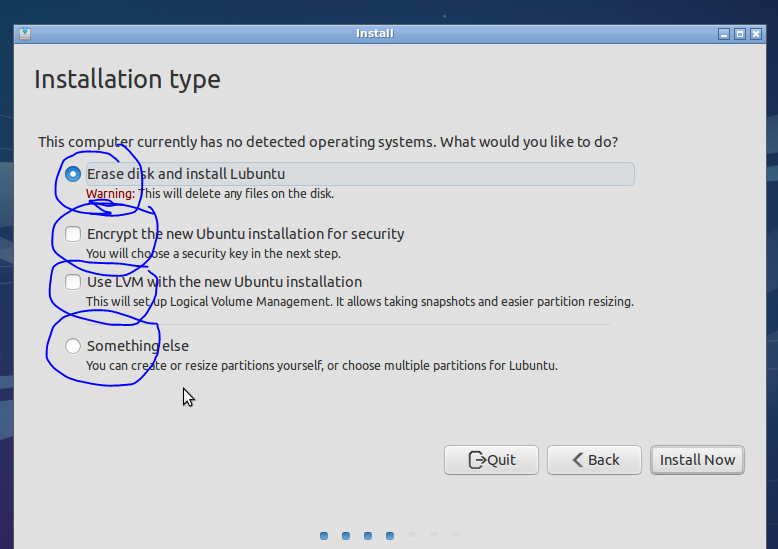 Type is “linux” and the version is either ubuntu64 or ubuntu32. Click OK or Next. [Note: Most modern machines are 64 bit, use that unless you have something old so you can access more ram]. Give as much as you can, don’t forget to leave some for your host, but 2gb is a good start on my 8gb system (but in real life I might give it 3-4 gb). This can be changed latter so leave it as the default if worst comes to worst. STOP! Although dynamic resizing is probably a good way to save disc space – I want speed! 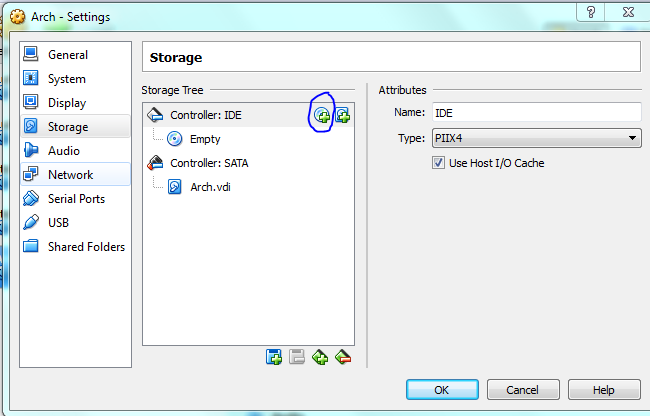 but for this course just use dynamic sizing ie not what I have shown below! This is only a demo, normally I would make the drive considerably bigger (>20gb) to allow for software installs. But you can get away with 10 Gb as a minimum. You can share folders on your host machine once the system is up and running and this is where I would store all my important data. As an aside, I normally don’t back up my vm’s and if you do the same then, yeah, don’t store anything on the virtual machine that is important! Accept the defaults if this is all too confusing! Hovering the mouse over the warning lets you know what is wrong, here it says I need to select another option if I use duel core processors, it also says it will fix it for me so I didn’t have to do anything. Display issues are a problem for me when using vms, so I’ve given a bit of RAM to the video to hopefully minimise the chance of problems. Accept the defaults if this is too confusing. 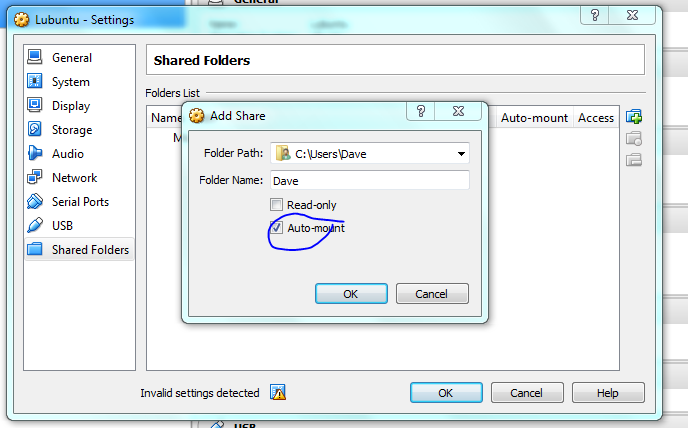 Lets set up the shared folders with the host machine now, make it mount on startup so it acts as a removable drive once the vm is running. Now the machine is ready to go, but first we need to “insert” the ISO image into the virtual CD-drive. 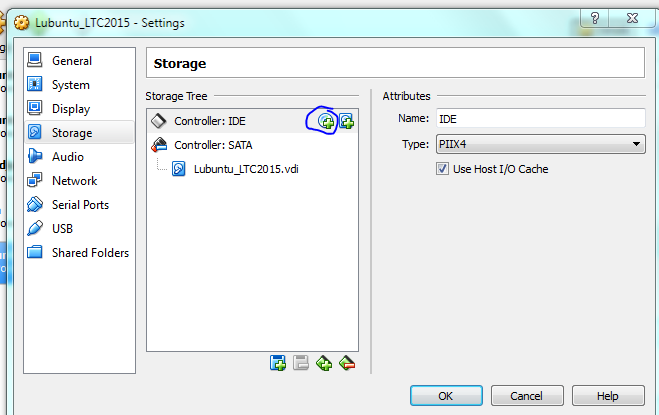 Click on the “Storage” settings option and select the little disk+ icon as shown below, then when prompted navigate to the ISO using “choose disk” . 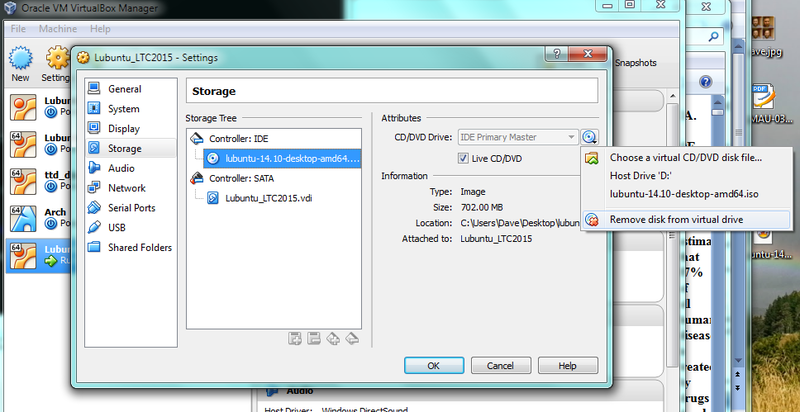 Click on the newly created drive and select “live CD” option. With the ISO file sitting in the virtual drive its time to boot up our new computer! Here we have the option to try out the system first using the live CD. This does not install anything, but lets us know if we likely to run into compatibility issues. Its only a vm, so I’m just going to install. Be patient here as it might not look like it is doing anything, there even might be some error messages, sit tight and hopefully you’ll see the screen below! 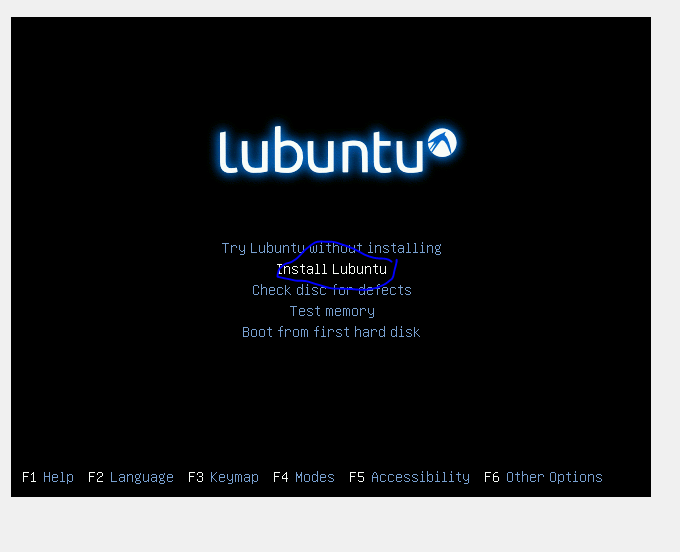 Hopefully you see the image below will load, or a new lubuntu desktop will load. If the desktop loads double click on the “install” icon on the desktop and you should see the image below (and next time follow instructions ie click the live CD option (-; ). Non-open codecs like mp3 etc can be installed here and you can download updates on the fly during install. These options are up to you. 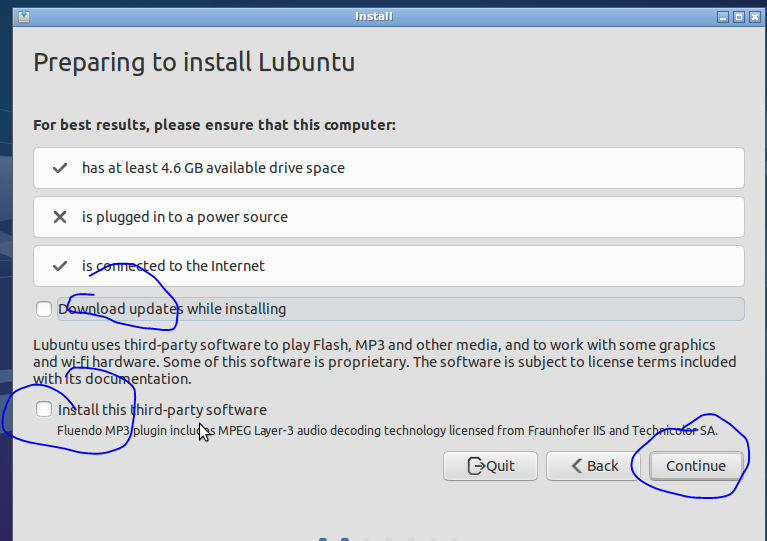 But if you don’t have Internet leave the “download updates while installing” boxes unchecked. If this were a normal install (dual boot for example) I would start to sweat at this point, whilst double checking my back drives (you have one right?)! If it goes wrong here you end up with a blinking cursor, where once you had a computer full of data and software (backup backup backup). But……The great advantage of VMs is that it doesn’t really matter! If things go wrong, its only a virtual computer after all, delete it and just start again (that said: backup backup backup). Also, as you will be running the vm inside a host, there is no need to worry about the hassle of setting up a dual booting (though its not actually that hard to do). 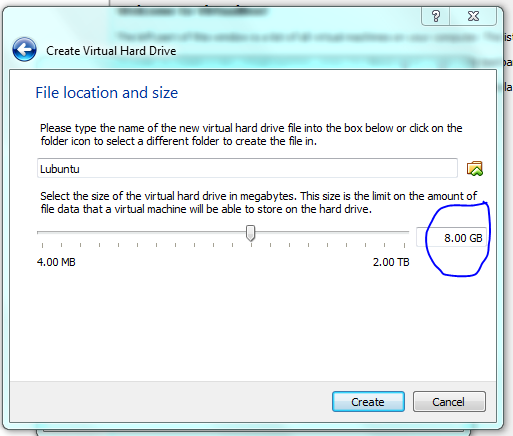 So lets go ahead and format our virtual drive. Fu*k the NSA, encrypt if you can! 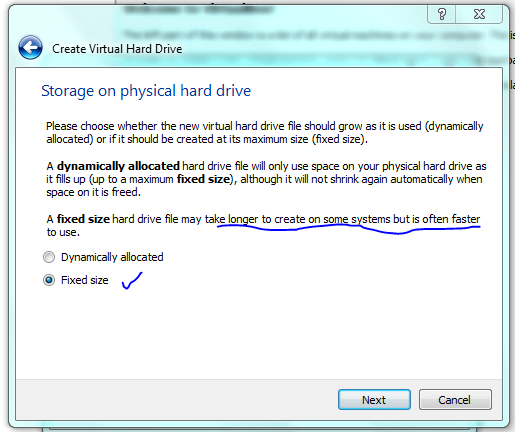 Click continue when asked unless you want to set up more complex swap and partition options. Good to see NZ just made it onto the map! Choose the US keyboard (yes this is for you know who) unless you got your computer from some strange dodgy foreign online store. The parts the matter for you here are your username and password (no spaces in username or password). Choosing NOT to log in automatically is certainly recommended from a security standpoint. If this were a real install on a live CD you would need to eject the CD otherwise it will just boot back to the live image again (see below). we need to “eject” the Lubuntu startup/install disk from the virtual CD, otherwise the VM will just boot from that again [and thats not what we want]. 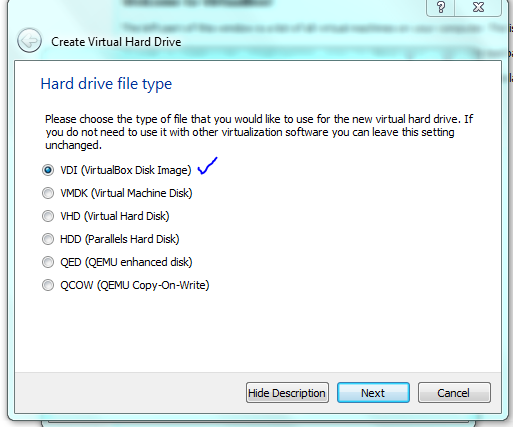 So goto VB settings, storage, then right-click “remove disk from virtual drive”. Now you should be good to press enter and reboot. Hopefully the display issues are minor. Next we will install guest tools that should make things run more smoothly. Neat Trick t: When you have your VM up and running make it full screen then use the switch desktop [ctl][alt][arrow] to change between the host and the VM. This is so much easier than minimising the VM all the time; you end up with two computers for the price of one! Dealing with the wonderful lovely helpful joyful PROXY! When nano opens comment out ie add a # to the start of the “Acquire” line. You have to undo this when you get back to the work proxy environment again”, for the love of the flying spaghetti monster!!! We are going to install guest additions which helps copy and paste between the host and the linux system work, as well as display issues and shared folders etc. VB comes with its own package for helping with this, but the opensource community has its own version, we’ll use that. 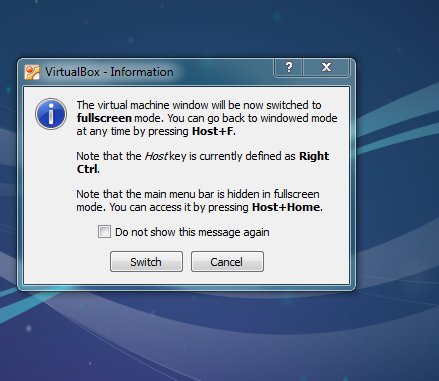 Open a terminal and type (copy and paste is unlikely to work yet) (via see (http://askubuntu.com/questions/22743/how-do-i-install-guest-additions-in-a-virtualbox-vm and https://forums.virtualbox.org/viewtopic.php?t=15679). If the above worked you should be able to go to full screen mode [view][switch to full screen] — if that works yipee your done (but see optimisation steps below)! From the virtual box menu at the top or bottom of the screen (if the menu is hidden just put your mouse at the top or bottom and should appear), choose DEVICE the option “install guest addition”. (see bottom of device drop down). Now! Open a terminal window using [CTL][ALT][DEL] and type. Type “ls” and make sure you can see a file called “VBoxLinuxAdditions.run”. IF so then use sudo to install. Now reboot and hopefully any display issues you may have are fixed! This part below is to get the Internet working for apt-get. 1) USE FULL SCREEN – it drives me crazy how people leave the VM as a window, you go to click something and all of a sudden you’re back in some sucky OS like windows! Just make the screen full screen and use [right ctl][F] to graciously switch between the host and the VM. By default the settings “options bar” are hidden (click the pin if you want to lock it in place), move the mouse to the bottom middle of the screen and they should unhide themselves. Then click “view” “switch to full screen”. 1) Copy and paste, options bar, “device” -“shared clip-board” – “biodirectional”, do the same with “drag and drop” also in the “device” section. This will only work after you reboot the guest OS! 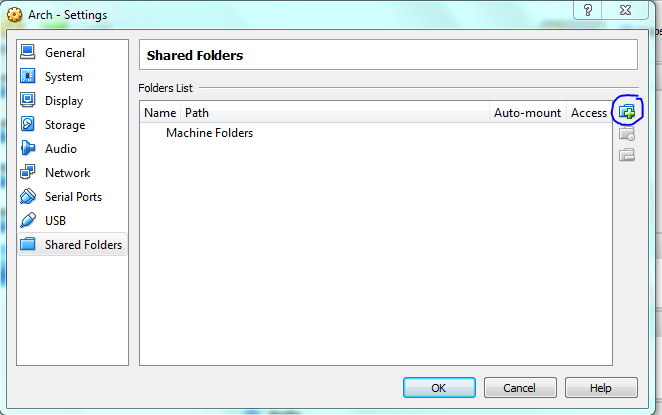 The shared folder will be in “/media/XXXX”, if you type “/media/” into the file-manager it should show up. Once you are their click “bookmarks” and add the folder for quick reference. :Gstatus - status / stage by "-"
So this post is about making VIM useful! The steps are based around Ubuntu/Debian Linux but should be adaptable for OSX and other NIX distros. Windows users, like yourselves I have no idea (-;? Of course nothing I ever do is original and this especially goes for this post which borrows heavily from an excellent (but old) PyCon Asia talk by Martin Brochhaus. The .vimrc and much of the instructions are taken from the talk so feel free to watch it on youtube. I’ve also tried to update some of the info and stick to the minimum to get you coding away ASAP. These steps will clone the current version of VIM from source and enable additional features. If you already have a copy installed (ie vim starts when you type ‘vim’) I would first fun ‘apt-get remove vim’ (or your equivalent). First dependencies and some tools. As we are going to use a bin folder in our home directory we need to put this location into our path so that our new version of vim will run from the command line. Now we make the ~/bin dir as well as an ~/opt for the vim install. Eventually we will use a simlink from ~/bin (now in our path) to the ~/opt folders in our home directory, the -p flag says ‘don’t complain if this dir is already there’. The final command reloads your bashrc without you having logout. Cool. Now we need a “.vimrc file”. This file will contain our customisations (the dot says I’m a hidden file). You can get mine from here (download to your desktop or copy contents into a blank txt file). It is worth look at this file in a text editor as it contains some information on the key short-cuts and the plugins we are going to use (BTW in .vimrc files a single quote ” indicates a comment (aka #) a double quote “” indicates a bit of code that can be uncommented to enable something). The next bit of code simply copies the file to your home dir and the gets a custom colour scheme (mostly just to show how to do it). This next part is important. To manage plugins we will use a bit of kit called pathogen. The plugins can then be installed (mostly by a git clone) right into the “~/.vim/bundle/” (this will result in a folder structure like this: .vim/bundle/plugin-name) and pathogen will handle everything for us – awesome! 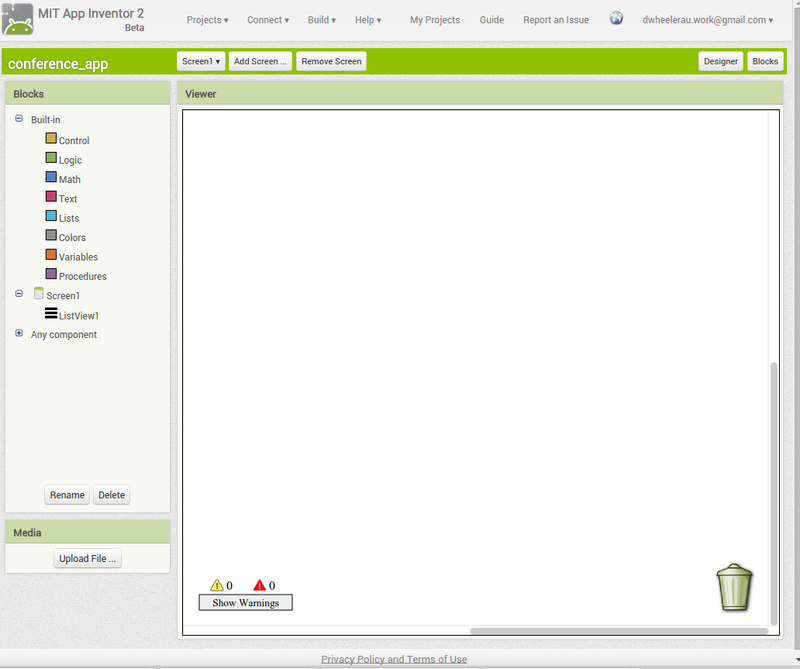 Most plugin developers set-up their folders to work nicely with pathogen to make life easy. The first plugin we will use is called powerline and it adds features and makes a better looking status line. 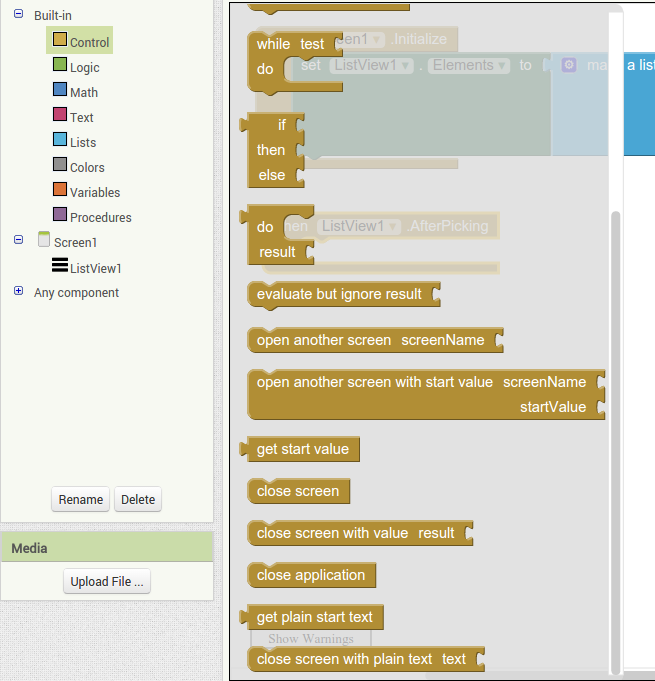 The next plugin allows code folding to make it easier to look through long blocks of code. Its simple to use, just type f to collapse a section of code of F to collapse it all. Type again to reverse the folding – sweet as. The next one installs ctrlp which allows nice fuzzy file searches from directly inside vim. Install the jedi plugin which allows awesome auto-completion of commands and imports using [ctl][space]. Install syntastic is another awesome plugin that does syntax checking and will check your code for compliance with PEP8. Forget tabbing into the terminal to stage/commit/merge etc just install git support with fugitive. Well that’s the install. Next post will be the shortcuts I use all the time and some that I want to learn as a bookmark for myself. Otherwise checkout the links to the plugins for detailed descriptions of what they do. But now you should be up and running with a pretty nice looking IDE! Now that we have our base system installed, its time to add some tools that will give us a nice GUI desktop. But first off we will setup sudo so we can stop being root. First we’ll create a user. This first command creates a home directory called “dwheeler” using the -m flag, adds this user to the administrator group (wheel) with the -G flag and links us to bash. Enter a password after the passwd command. Obviously substitute for your username and password. Next we setup sudo. 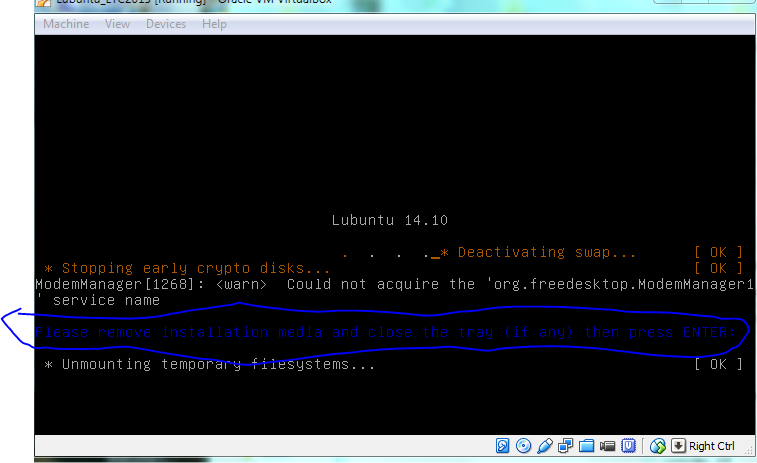 Sudo has a special editor to change it called “visudo”, we should always use this modify the config file. After typing the visudo command scroll down to the line that contains “root ALL=(ALL) ALL”, and underneath that add your username and the “ALL=(ALL) ALL” part. Note that visudo uses VI, which can be a little tricky to use for the uninitiated. Once you are at the line you want to insert your username, type “i” to insert, once you have finished type [esc] and then colon “:” and [wq] to save and exit (ie “:wq”). Type “reboot” and now login as yourself. Now to install some graphics tools. Because we are using virtualbox, we need to install some helper tools that will allow the graphics to work properly. I got some good ideas from this post (http://wideaperture.net/blog/?p=3851), it might be worth checking it out for a second way of doing this. Then get this too load. Reboot using “sudo reboot”, once you are back into the environment type “startx”, and some very basic windows should open confirming that x is working! Type exit in these windows to return to the terminal. Finally, we will install the desktop environment. This consists of two parts, first the display manager that will log us in and kick off the desktop, and then the desktop environment itself. You can choose from a bunch of different environments, from fancy feature rich to bare-bones, see the arch desktop page for the options. 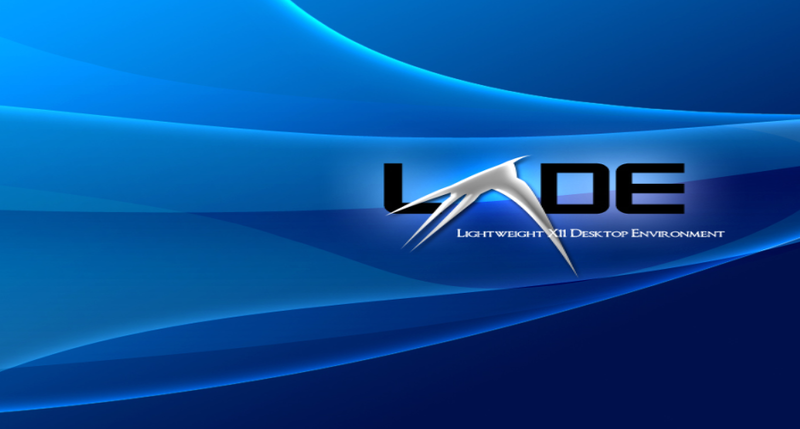 I’m all for saving resources so I’m installing the lightweight LXDE. Installing the lxde group using pacman also installs the display manager (called lxdm). Reboot, login, and bobs your uncle! Last job is just to change the permissions on the shared folder so that we can access the host (replace username with your username). 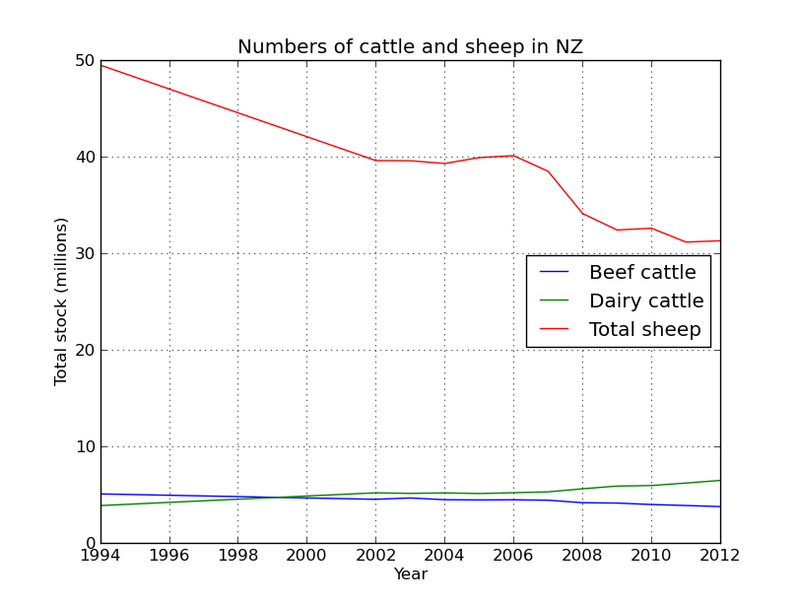 WARNING: This data is dodgy, but I’m really just using it to demonstrate how cool pandas is. 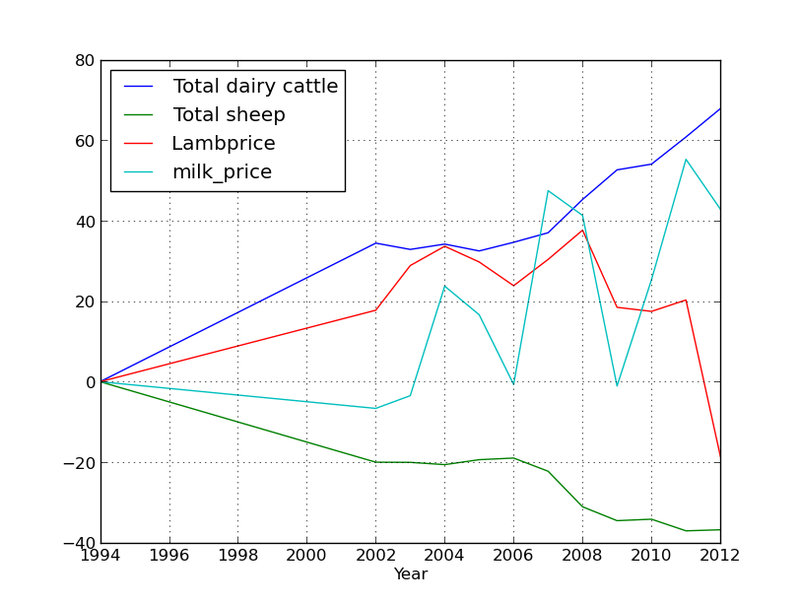 So I found some information on milk and lamb meet prices, we’ll load them up as dataframes and work out the percent change since 1994 like we did before. We’ll try out the datetime functionality of pandas, which is really quite nice. 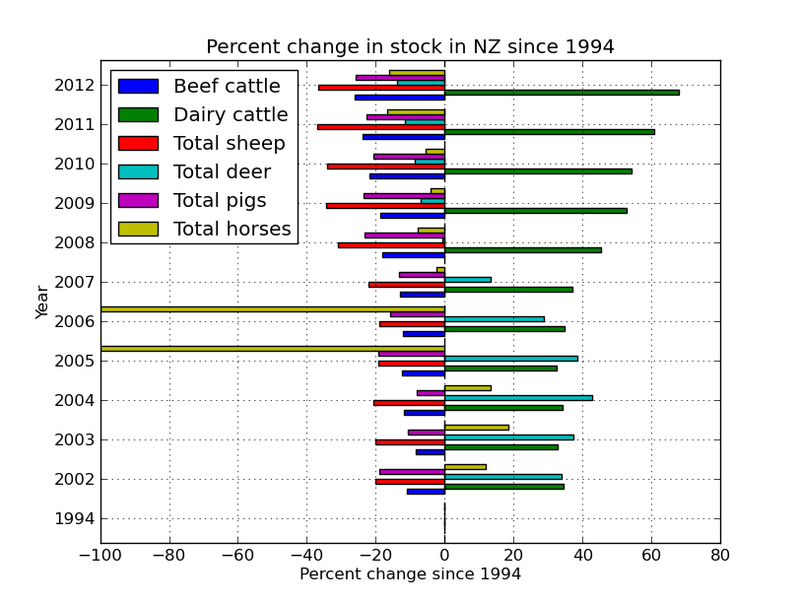 But first just to import our table from the last post and make the year the index so we can easily merge the new data. 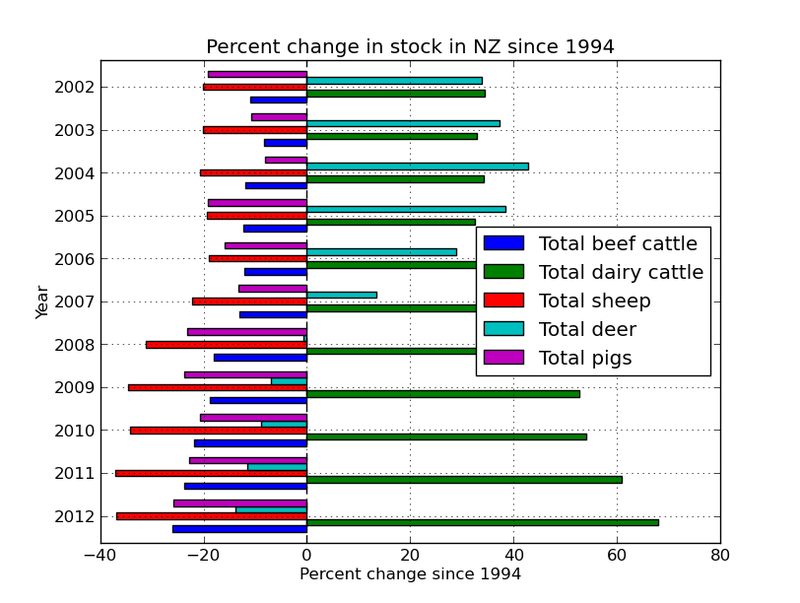 Now we are going to create a table from the dodgy lamb price data, this table is in a slightly different format so we will have to use the groupby method to wrangle it into the shape we need. Now to use datetime to make an index based on the month data. Pandas did a good job of converting the date format into a datetime index. As you’ll see in a second this datetime object has some extra functionality that makes dealing with dates a breeze. Although this new data has the date and price information we need, its divided into quarterly amounts. As you can see by the commented out code, initially I made a mistake and summed these values, but really we want the mean to get the average yearly price. I left the mistake code there as it shows how easy it would have been to get the sum using groupby. We pass the year index to groupby and get it to do its magic on the price column (our only column in this case, but you get the idea), we then just call the mean method to return the mean price per year. The datetime object made specifying the year easy. Now we are going to write a quick function to calculate the percent change since 1994. Great! Now just add that column to our original dataframe. 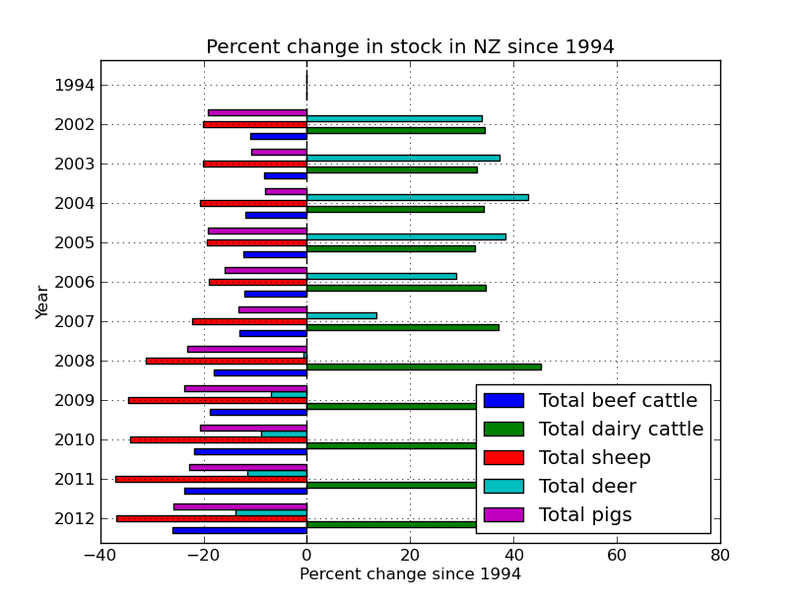 Notice how only the intersect of the dates are used, very handy (ie it drops 1995-2001 from the lamb price data as these dates are not in our stock number table)! 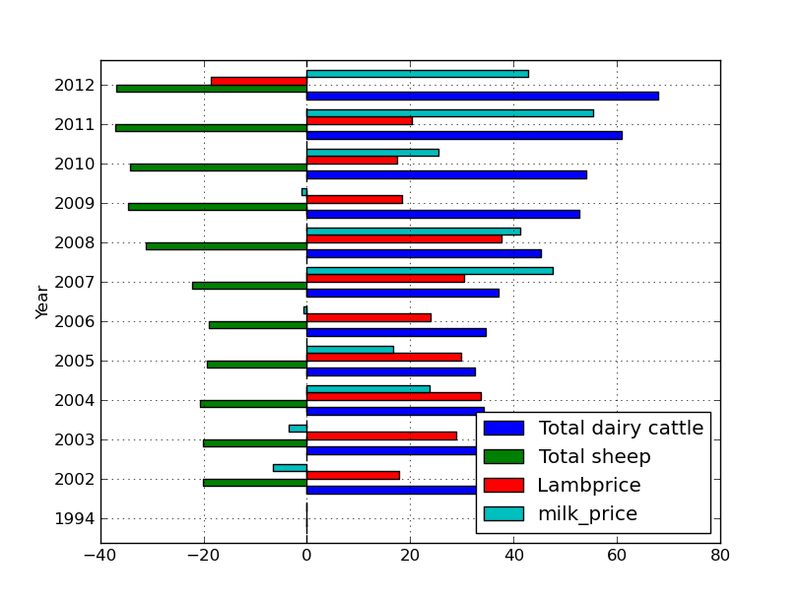 The next series of code and graphs adds in milk and lamb prices to try and see why farmers are moving from ovines to bovines! 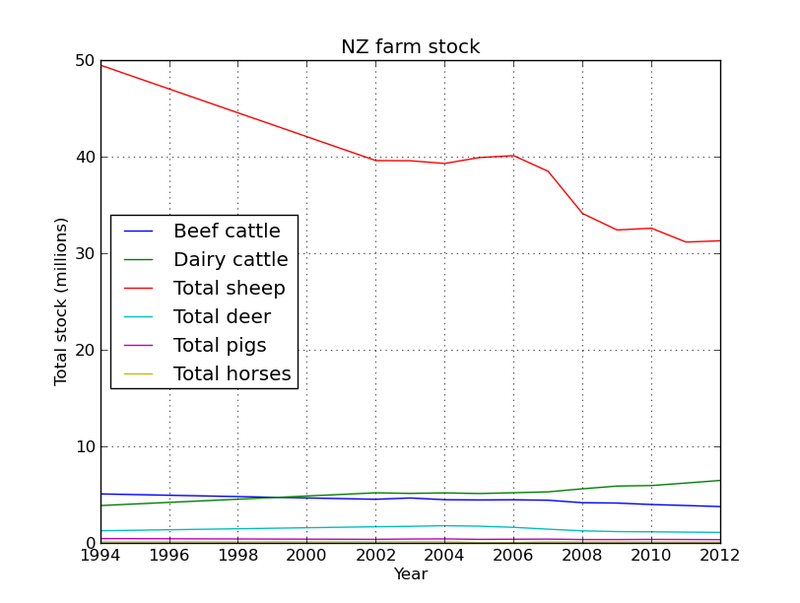 These graphs are a little busy, lets just concentrate on the important stuff.